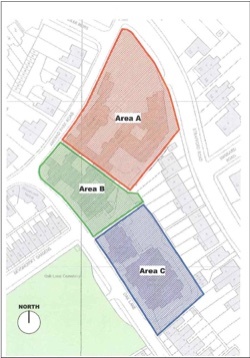 The North St Margarets Residents’ Association’s committee resolved on 23 February that the Association should withdraw from participation in the St Margarets Alliance with immediate effect. The Richmond Council will send this leaflet to all parents of school age parents tomorrow [PDF] outlining the current state of the issues around school places and the two options they are currently considering. This is a Food War!
! (photo right) https://stmargarets.london/images/fair/band_CraneRiverCajuns.jpg 112h 150w ! I’d firstly like to say a big thank you to all those who have kindly sponsored me to do this mad race, please if you would like to help me raise money for F.R.O.D.O. then please visit my just giving site at justgiving.com/georgie-islip Thank you for all your support as it will keep me going through the tough stages of the race. Richmond Council has negotiated the purchase of part of the former St John’s hospital site, in Strafford Road, Twickenham, for further primary school provision, subject to approval from Cabinet on Monday 22 February. The purchase from the current owners, the South West London Mental Health Trust (MHT), will be conditional upon planning permission being obtained for the site. There was a time when the St Margarets that we know didn’t exist. No station. No shops. No pub. No cafes, No streets crammed with cars…nothing. The Thames flowed quietly towards the sea through an open parkland of grand houses, smallholdings and market gardens. Boatmen might stop at Richmond to drop off a passenger or pull into Isleworth to collect a cargo but between the two there was little catch their interest. Interested in Joining a Local Choir? The Community Choir, meets in the Music Centre, Richmond College, Egerton Road, Twickenham, Thursdays, 6.30-8.00pm during term time. All welcome (particularly male voices), no audition required. Information from chris.mitchell@rutc.ac.uk or just turn up to a rehearsal. About 200 years ago an agricultural expert working in Middlesex was surprised to discover how few people kept bees.